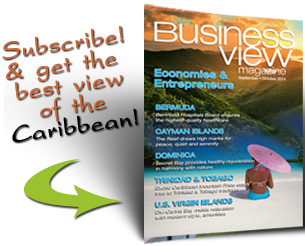 Business View Caribbean interviews Natasha Lettsome, BVIHSA Marketing & Communications Manager, as part of our focus on best practices in Caribbean healthcare. On Wednesday, Sept. 6, 2017, Hurricane Irma came screaming through the Caribbean, leaving total devastation in its wake. 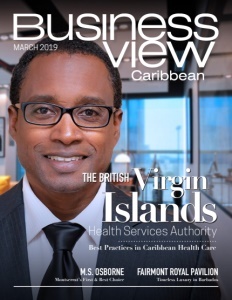 The British Virgin Islands were blindsided by the full brunt of the storm that day, and the British Virgin Islands Health Services Authority (BVIHSA), through its main facility, Peebles Hospital on Tortola, became a beacon of light, literally. In the immediate aftermath, the hospital had electricity and some semblance of internet, so residents and stranded tourists could contact their loved ones. The doors were opened, people were fed. Many slept there because it felt safe and secure. The fact that the building stood up to Category 5 winds that basically flattened everything around it is a testament to the high quality of its design and construction. The hospital became the communications point; even the central government was operating from inside the facility. All that, and the unprecedented amount of critical medical care provided, was a huge factor in BVI’s return to some sort of normalcy. A testament to the strength and fortitude of its people, BVI was open for business shortly after the storm. Many of the beaches and the natural beauty remained intact. Today, hotels are coming back on stream; restaurants are open; and the tourism product can still capture the heart of anyone coming to the BVI. The significant unifying role that the BVIHSA, the Peebles Hospital, and its dedicated staff played during that time cannot be understated, and still continues to this day. 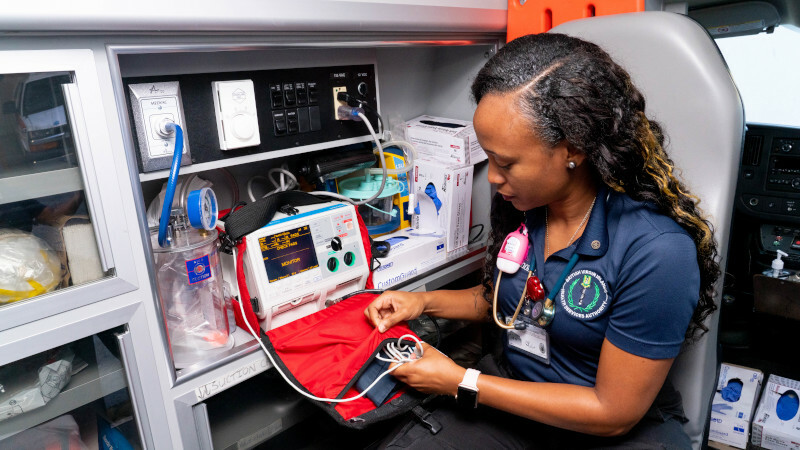 Along with Peebles Hospital on Tortola, the BVIHSA oversees nine community clinics on the islands of Tortola, Jost Van Dyke, Virgin Gorda, and Anegada and employs 625 people. Working with an estimated budget of $40 million, its services include: Audiology, Emergency, Hemodialysis, Infection & Prevention Control, Laboratory Services, Medical Imaging, Nutrition and Dietetics, Pharmacy, Physiotherapy, Social Services, General Surgery, Obstetrics and Gynecology, and Pediatric Care. Due to the storms, the first review for accreditation was delayed. Hopefully the first assessment will take place later this year. The Authority is seeking accreditation through DNV (Det Norske Veritas), but there is much work ahead to get back on track with the process. Medical tourism is still on the agenda, and is predicated on obtaining accreditation and having an efficient organization. There has been some discussion with The Atlantic Clinic (TAC) and they have done some pre-work with regards to medical tourism, but being accredited is critical, because that will allow U.S.-based, third-party payers to pay for services rendered in the BVI. Once accreditation is obtained, the BVIHSA will be in a better position to attract additional medical tourism services providers. 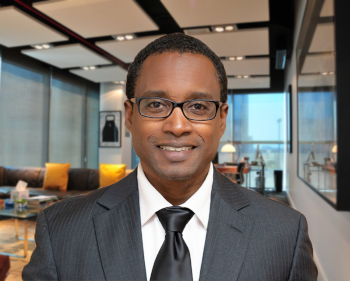 Reflecting on the hurricane aftermath, Dr. Georges explains, “What the storms really showed us was the need for proper disaster resilience and mitigation, and proper planning and the exercising of those plans to deal with small, medium, and large-scale disasters. After Irma, the seat of government had to move from the Central Administration Complex into the hospital because the hospital is actually one of the strongest buildings in the Territory. After the storm, it housed government services and ministries and the National Emergency Operations Center. “That really drove home for us the importance of disaster mitigation and emergency planning,” Dr. Georges stated. Much of 2018 was focused on recovery and rebuilding; and repairing damaged infrastructure, while utilizing the concept of “build back better and stronger”. The BVI Health Services Authority is now reviewing and finalizing disaster plans. They’ve sent some forward for approval at the government level and others are still to come. With so much to coordinate, it’s expected to take two or three years to complete. Some public health goods, like immunization and child health, should probably still stay on a global budget or capitation-based payment, whereas secondary and tertiary care might be on a fee for service budget. That’s the direction the Authority is heading, which would create a lot more flexibility in the organization to develop new services and to increase efficiencies. One of the largest distribution companies on Barbados, Bryden Stokes Ltd. (BSL) has three business divisions: Food & Consumer, Brewery, Wine, Spirits & Tobacco, and Health & Wellness. Its Health and Wellness division supplies pharmaceuticals, medical and surgical equipment, and healthcare products from its portfolio of healthcare companies. Supply Resources is a medical and laboratory supply and equipment company serving the Caribbean since 1989. We are centrally located in St. Thomas in the US Virgin Islands with a retail showroom and expansive warehouse space. We ship medical and laboratory supplies by air and sea daily all over the Caribbean including St. Croix, St. John and Tortola and weekly to Anguilla, Antigua, Barbados, Dominica, Nevis, Montserrat, St. Kitts, St. Lucia, St. Martin / Sint Maarten, St. Vincent and Trinidad and Tobago.